Imagine a heist movie that concentrates on emotion and motivation rather than process. A film that eschews the kind of superiority complex that makes you sure it’s constantly on the verge of tricking you, yet still does manage to surprise you. Instead of robbing a bank or snatching expensive jewellery from someone rich, why not make it personal with the campaign money intended to influence a council election, with dirty politicians and a church that can be bought. 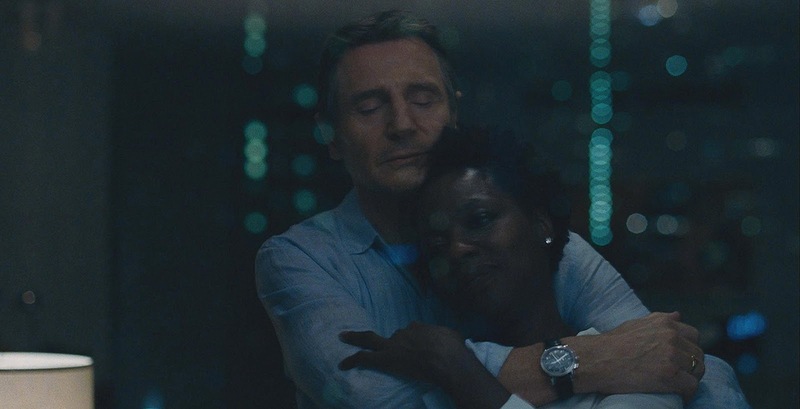 Steve McQueen’s Widows is among the best heist movies I’ve seen. There’s none of the usual smugness in the planning and after the big reveal, none of the moral superiority. Instead, it’s an intelligent tale of morally-compromised women who need to get their dead partners’ rivals off their backs by following posthumously-discovered instructions for the next job they’d planned. In the process they learn about their former lovers, the criminal side they had conveniently ignored, as well as the more sinister elements operating in the south side of their home city of Chicago. The film’s editing visually explains the stark changes of affluence, class and race across the small neighbourhood without having to resort to dialogue. The cinematography is superb throughout, right from the opening scenes of osculation intercut with the botched job that sets up the rest of the film to a single take rap performance. Kudos to Sean Bobbitt and Joe Walker. 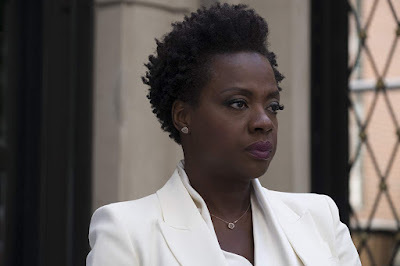 Veronica (played brilliantly by Viola Davis) gathers together the other widows but never become a mother hen and the film resists any instant camaraderie. 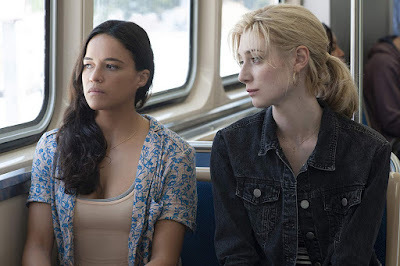 Davis contrasts the driven and demanding gang leader that she becomes with her character’s private devastation (which grows over the fortnight covered by the film) as a ghostly Liam Neeson interrupts Veronica’s moments of relaxation in the penthouse apartment she can no longer afford to live in. Mother-of-two Linda (Michelle Rodriguez) faces fiscal ruin. Elizabeth Debicki plays Alice, a woman now free from her abusive yet financially-supportive husband (just a shade of The Night Manager about it!) who is discovering the art of making choices for herself. Her self-exploitation is confidently portrayed yet at times is uncomfortable to watch. Cynthia Erivo’s Belle starts out as a hard-working young woman who never misses an opportunity to earn a crust and later becomes a crucial part of the plot. Colin Farrell is steady in his depiction of a political son trying to step out from the shadow of his father (Robert Duvall) all the while failing to unlearn familial bad habits. But it’s Brian Tyree Henry (playing the political challenger Jamal Manning) and Daniel Kaluuya (Jatemme Manning, Jamal’s brother and violent enforcer) who show real steel and vicious determination. Veronica’s white fluffy dog is perhaps the only innocent on-screen, though you’ll spend much of the film wondering if you’ll discover just how effective blood splats would be on its thick white coat. A novel safe code mix-up is a rare moment of humour that slips into the narrative. The long 129 minute runtime is justified given the intelligence of the script and the quality of the acting. “You reap what you sew” applies across the board, rather than to any identified baddies. You want the widows to succeed, yet you are fully aware that the cost may be too great. That’s a great dilemma to plant in the heads of the audience. Widows is in cinemas, including the Movie House chain, from Tuesday 6 November.